Want to make Valentine’s Day 2019 better than ever? Here’s what you should do in Lyon! Take a romantic walk around the Croix-Rousse, ending up at Place Colbert, from which you can get wonderful views of Lyon. There are many benches dotted around the square, which means you can take a tranquil rest, looking out over the city. Declare your Love on One of Lyon’s Electric Signs! Want to tell your love how much they mean to you… and maybe even propose…? Go onto www.lyon.fr between 2pm 5th February and 12pm on 12th February to write a love message to be broadcast on 34 electric signs across Lyon. Spend an afternoon walking round the Parc de la Tête d’Or. You never know – it might even snow! 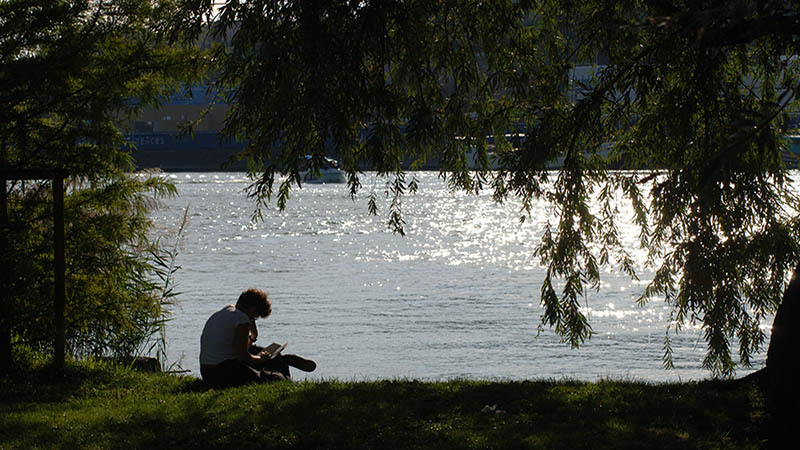 There’s a botanic garden, a lake where you can rent boats, and a café – plenty to keep you occupied. Do some Valentine’s Day Speed Dating- in English! Not already found your chéri? Head over to My English School Lyon to do some English speed dating! This could be the perfect opportunity to find the ‘one’, or just have interesting conversations with like-minded people. The event will take place from 7:30pm-8:30pm at My English School Lyon, 42 Cours de la Liberté, 69003, Lyon. The cosy atmosphere of bouchons make them a great place to spend a romantic night sharing deliciously indulgent food and wine. But be sure to book as they’ll be packed! Bouchon Danielle et Denise in Lyon Croix-Rousse. Fancy treating your love on Valentine’s Day? Why not go shopping together in the slopes of the Croix-Rousse. There are plenty of independent boutiques, many of which can be found in the Village des Créateurs. The Village des Créateurs supports local, independent brands, by selling their one-of-a-kind products. The café at the Village is also well worth a visit! Get your skates on this Valentine’s Day! Photo credit – screenshot from République Grolée-Carnot Facebook page. 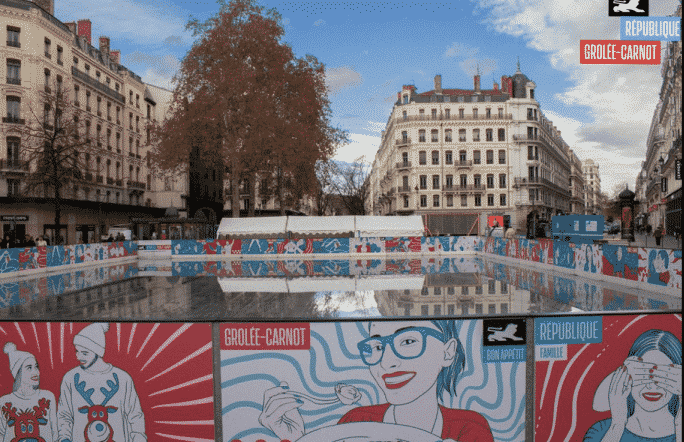 Head over to the temporary ice rink at Rue République, Rue Grolée and Rue Carnot. Show off your best moves, or simply stop one another falling over. Either way, it’s completely free on Valentine’s Day so be sure to take advantage! What better way to celebrate Valentine’s night, with a loved one, family, or alone, than listening to some of classical music’s greatest pieces? Lyon’s orchestra will be performing pieces by Wagner, Tchaïkovski, Scriabin, and Mendelssohn at Lyon’s auditorium on Valentine’s Day. Click here for more information! 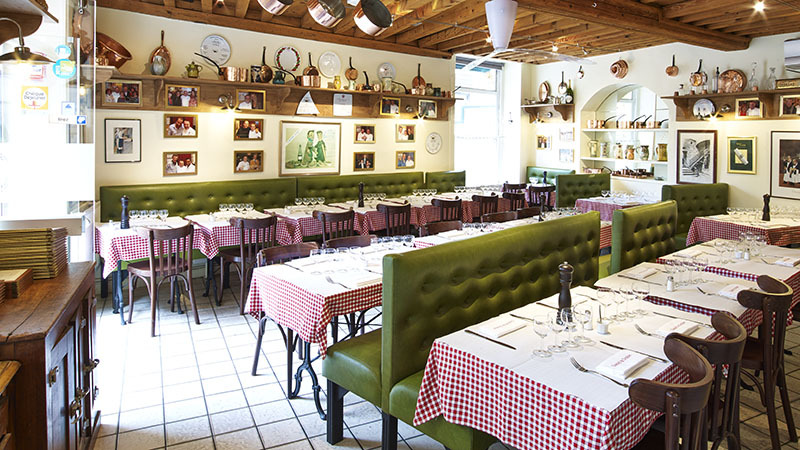 Go to one of Paul Bocuse’s brasseries for a romantic meal. Paul Bocuse is undoubtedly one of Lyon’s greatest treasures, and his brasseries sustains his legacy. From 11th to 16th February, the brasseries le Nord, le Sud, l’Est, l’Ouest and les Lumières, along with the restaurants Fond Rose and Marguerite, will all offer a special Valentine’s menu. It costs 40€ for 4 courses or 38.50€ for 3 courses. Or on Valentine’s evening itself, you can get an executive dinner costing 55€, or 58€ with cheese. You can see the menus here. 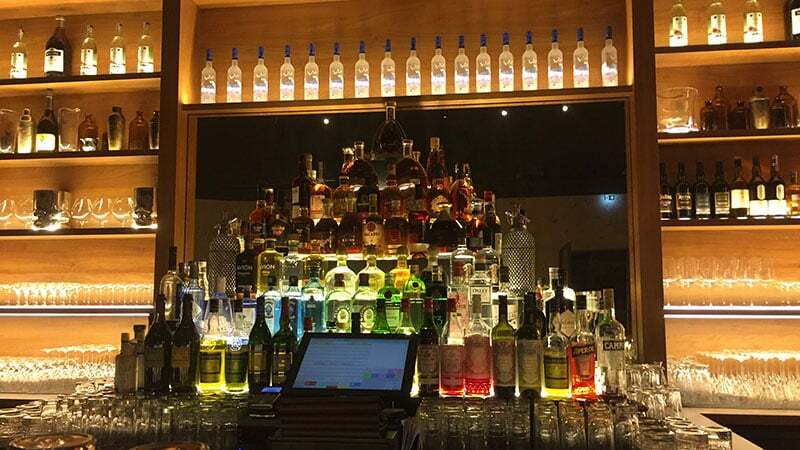 After a romantic day spent together, why not head over to L’Officine, the Grand Hôtel Dieu’s cocktail bar, to finish the day with some cocktails?